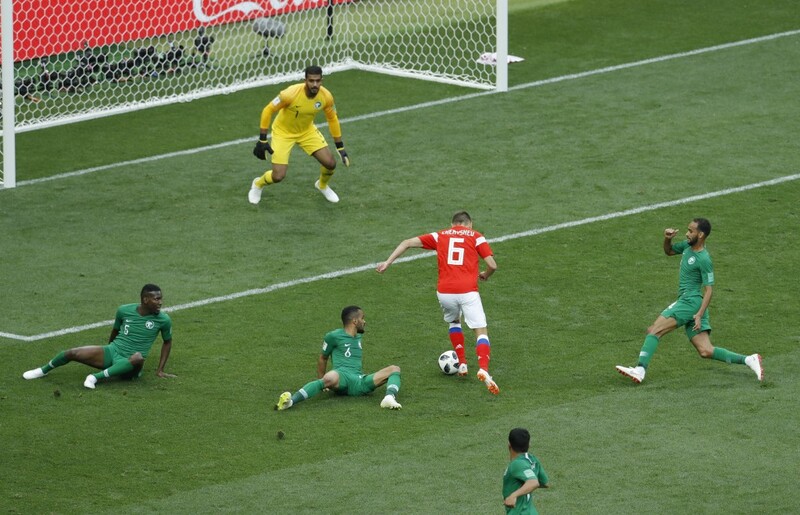 MOSCOW (AP) — Substitute Denis Cheryshev scored two goals to lead host Russia over Saudi Arabia 5-0 Thursday in the opening match of the World Cup. 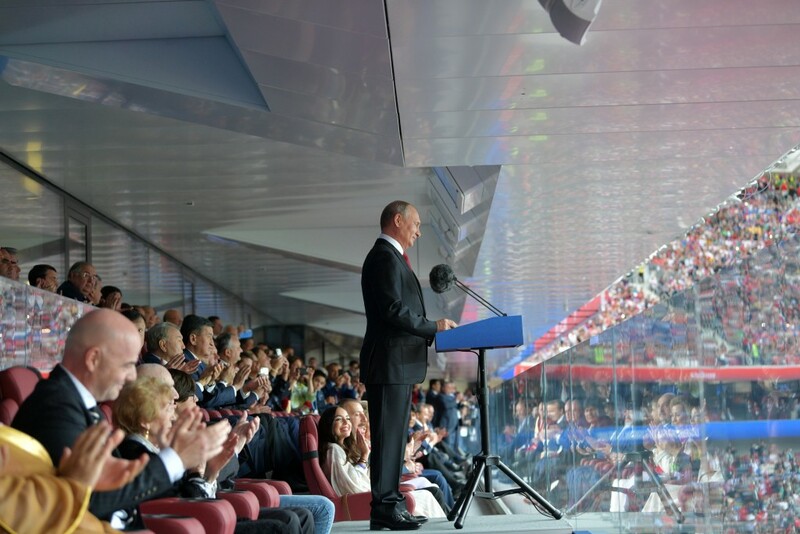 With President Vladimir Putin watching, Cheryshev chipped the ball over two Saudi defenders in the 43rd minute and shot over goalkeeper Abdullah Al Muaiouf's right side. He later chipped the ball in for Russia's fourth goal in stoppage time. Yuri Gazinsky initially put Russia ahead with a header from Alexander Golovin's cross in the 12th minute. 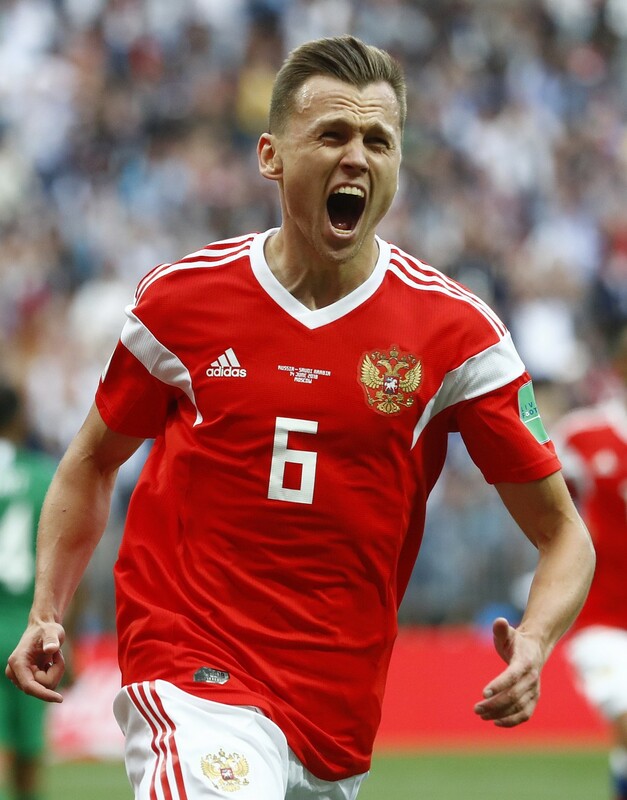 After Cheryshev's first goal, Artyom Dzyuba made an instant impact off the bench to make it 3-0 in the 71st with a header from Golovin's cross. Golovin added the fifth from a free kick. It was Russia's first World Cup win since 2002 and ended a seven-game winless run overall.